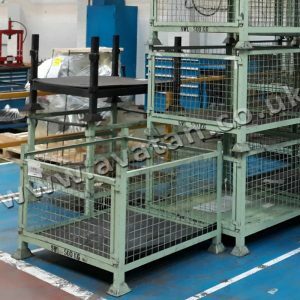 Size: 1200mm x 1000mm x 850mm effective height. Stackable retention unit in very good condition but with minor rust spots returned following short term hire. To fit 1200mm x 1000mm timber pallet. 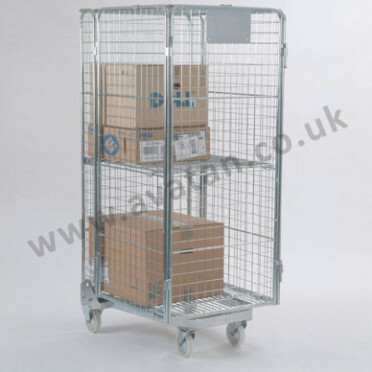 Of wireformed construction with all sides hinged together and fitted with half drop gate and stacking rim. Originally bright zinc plated finish but finish has dulled. 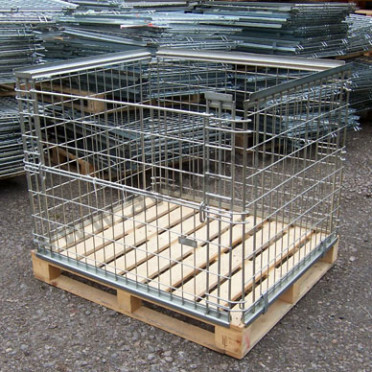 Suitable for 800kg u.d.l. 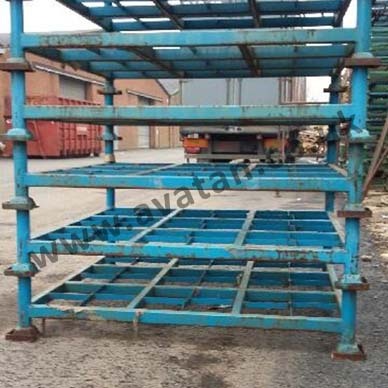 per pallet stackable four units high. May also be stacked within pallet racking to safely retain goods. 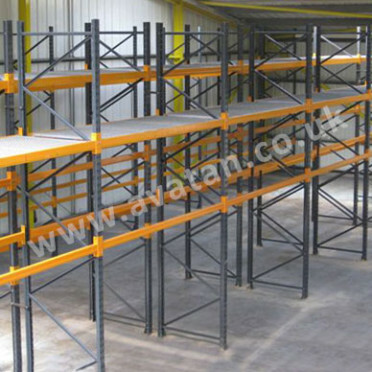 Must be used with good quality timber pallet, (we recommend Chep style pallets with full perimeter base).